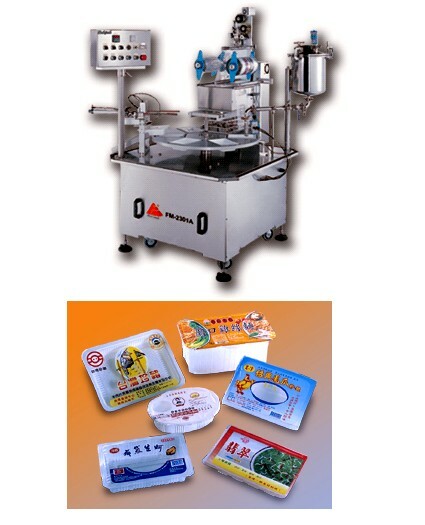 Designed for packaging lunch box, frozen fresh food and Tofu, etc. * Suitable for filling and sealing square box. * The machine requires an air compressor. * In care of empty box, the machine does not perform filling and sealing motions. * One box sealing at a time.